Imaginary worlds have captivated readers since the first works of literature. 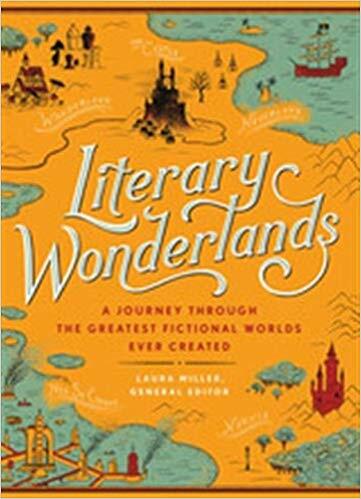 Lovingly researched and beautifully produced, Literary Wonderlands explores the timeless, captivating features of literature’s greatest fictional worlds and the minds that created them. The book is comprised of nearly 100 sections, each of which details the plot of a famous fantasy world, the historical circumstances that surrounded its production, the author’s inspiration, and the place it holds in the public imagination. Roaming from classic tales including C.S. Lewis’ The Chronicles of Narnia to Philip Pullman’s His Dark Materials, this truly global collection chronicles over two thousand years of literary creation. Accompanied by stunning visuals that elucidate the production of each wor k, Literary Wonderlands is an enchanting read for anyone who has ever been transported to another place through the power of the written word.